The Internet of Things (IoT) appears to be everywhere, from your security system and light bulbs to your thermostat and exercise bike. Even with billions of IoT devices entering our homes and offices, it’s not as easy as many would guess to develop an IoT product. Businesses developing IoT devices or software face a number of challenges starting from development challenges to implementation, connectivity and the most important security challenges. A variety of companies are entering the IoT business. While teams have combined hardware and software for years, some of the newer players may be realizing the challenges inherent in making the two work together. Security and Privacy – Thus far, it’s been unclear who is responsible for the security and privacy of IoT devices — manufacturers, service providers, resellers, or users. But if you’re creating a new IoT device, you must consider all aspects of security: physical, cloud storage, and data exchange. Connectivity – Not just to a phone or tablet via web app, but to other IoT devices. Depending on its use, your device may require a cellular connection in addition to WiFi or other protocols. Compatibility with those other devices. Lifespan – Many home and office IoT devices are meant to stick around, such as a toaster. Creating a device that will work for 10 years is not easy, especially in this newer space where there is no standardization. Lack of Best Practices – Not only is there a lack of standardization, but there isn’t a list of best practices in this space yet. Device and data management – Before your IoT device is out there and in use, you must put in place way to manage the resulting data. 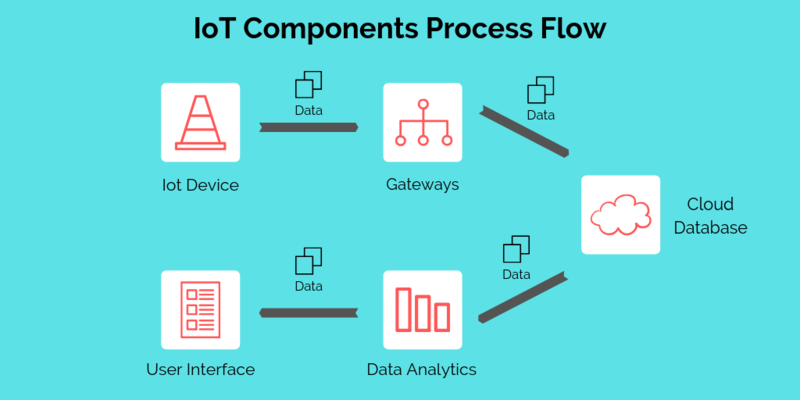 Keeping IoT Hardware Updated: Calibrating IoT devices on a regular basis is critical as we need to synchronize dataflow between all of the hardware that need to be used. Some companies that create one aspect of an IoT device, either the software or hardware, might guess it’s easy to jump in, but soon find challenges when working on the other side. For example, a software company may have an excellent development cycle in place, but the timelines for working with hardware will be far different. Hardware requires design, production, and assembly of real objects — all before initial testing. Then, if tests prove the product not ready, the process begins again. Hardware often costs far more, too, requiring more coordination with vendors and the manufacturing team. When you finally have the product together, your company must coordinate with a packaging company (and figure out the design), find a distributor, and confirm the product is certified or meets regulations. A hardware company may be eager to get into IoT as a way to keep up. But a team familiar with hardware is used to checking a project as “done” once it has shipped. But IoT devices use software, which requires constant updates — and thus and infrastructure for accepting those (secure) updates, not to mention the challenges mentioned above related to storing and managing data. Seeking external resources. Focus on what you do best and consider outsourcing or hiring those with expertise in the rest. Services can help build your distribution chain, for example. Or you might hire a technology company to create your IoT software. Being flexible. Software teams may use the agile approach to complete projects, but hardware teams might find waterfall much more useful. Chances are, you’ll need to find a way to have both in place to build a successful IoT device. Taking time. “Jumping in” to IoT is not something you do overnight. By taking time at the start to plan for all of these challenges, your company will find much easier success. 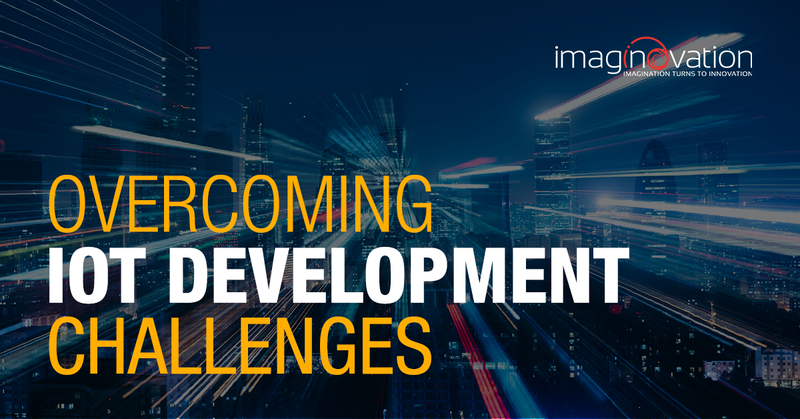 What IoT challenges are you facing? Talk to us about solutions.